Bedfordshire Fire and Rescue Service are facilitating a 12 week Fire Forward Course for First Place Training Bedford learners. The aims of the programme are to increase the learners’ confidence and self-esteem, develop their communication skills, assist with understanding self-discipline and respect and working in a team. The course is well underway and positive feedback has been received from all the learners attending the course. 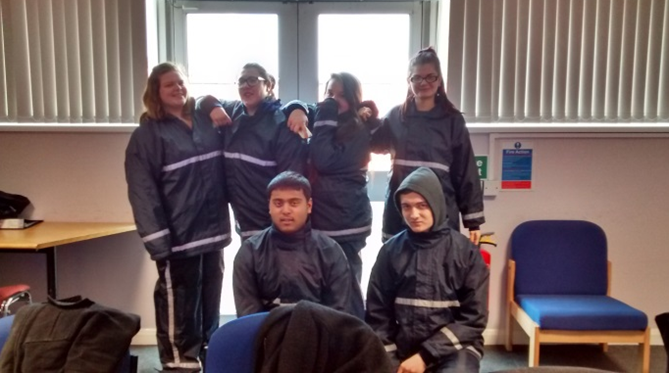 Both First Place Training staff and Bedfordshire Fire and Rescue Service have also commented on the learners’ engagement and enthusiasm towards the course activities. A close working relationship has developed between the two organisations and the success of this pilot programme will lead to similar provision being rolled over at First Place Training Dunstable Centre.